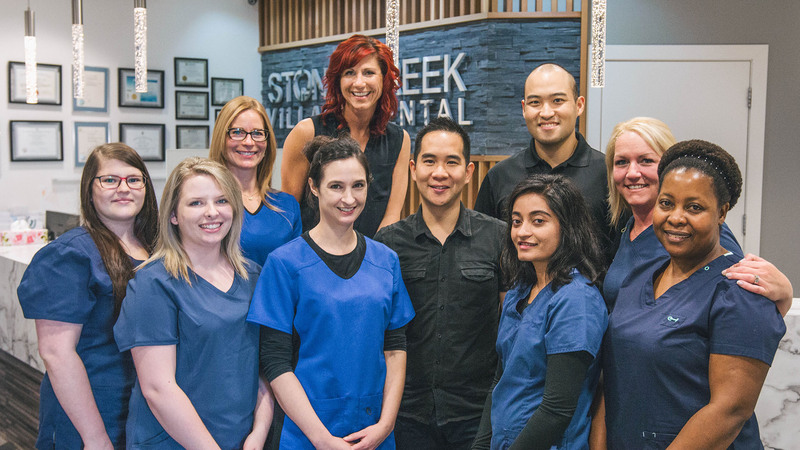 The Stoneycreek Village Dental team is made up of dedicated and highly-knowledgeable dental experts with years of experience in maintaining Fort McMurray smiles. While we pride ourselves on providing the highest level of dental care, our greatest strength lies in the skill, knowledge, compassion, and commitment to the oral health and the wellbeing of all our patients. 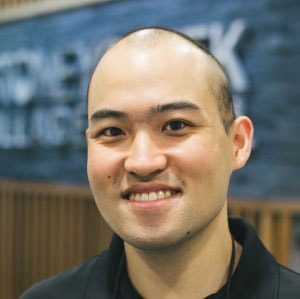 We invite you to come and meet our team! 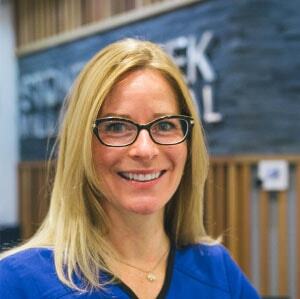 With over 15 years experience caring for people’s smiles, it was my dream to open Stoneycreek Village Dental. 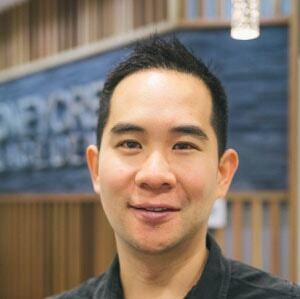 Over three years ago we opened our doors, it was my vision to offer a complete range of dental services while using current technology and techniques. Over the years, our team has grown into a passionate family, highly-knowledgeable and specialized in all areas of dental care. We want the best for you! With the inspiration to improve the health and wellbeing of others from a young age, I went on to pursue dentistry. 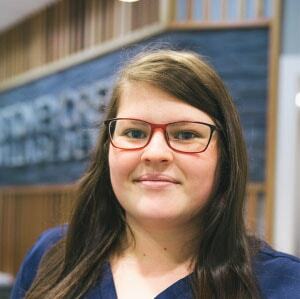 With four years experience, my care and treatment for the community of Fort McMurray is hugely rewarding. I take pleasure in making sure our patients receive the best experience and are well-informed of their treatment throughout each step of the process. 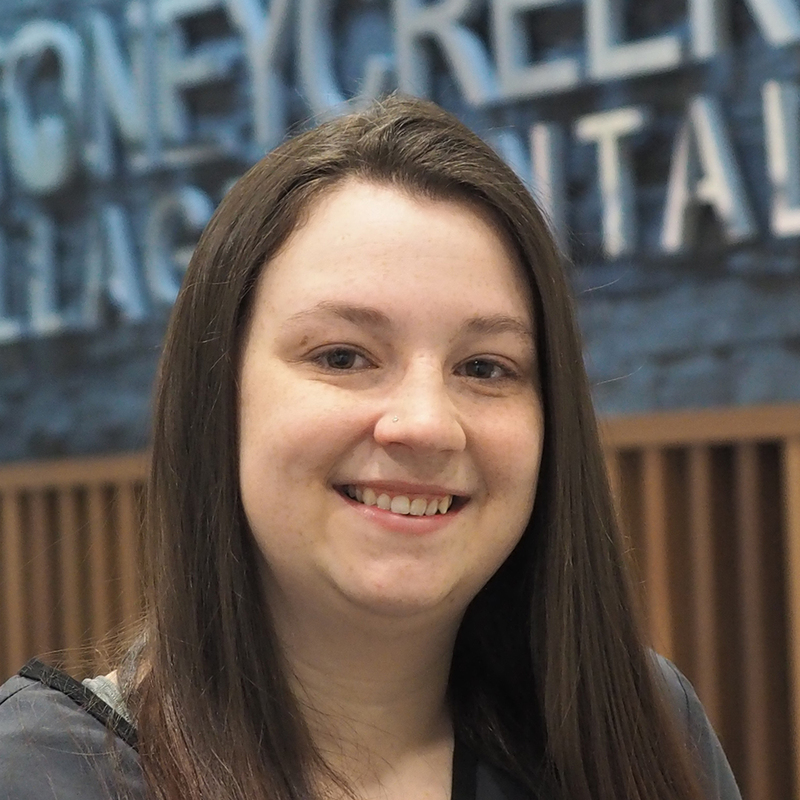 The ability to provide gentle care to children, offer convenient hours and work with an office that feels like a family, are some of the highlights of working at Stoneycreek Village Dental. Outside of the office, I’m an avid foodie sampling all sorts of dishes. I also enjoy spending time with my family and friends, and travelling the world. Many people are unaware of how important teeth are to our overall health, and it inspired me to work in the field of dental care. As the Office Manager, with over 15 years experience, I take pride in helping our patients, listening to their concerns, and providing information to educate and ensure they are comfortable and relaxed. We are compassionate about our patient’s dental fears, and it is our goal to relieve them of any unknown anxieties. Each interaction is friendly, compassionate and caring. When I’m not in the office, I enjoy traveling with my husband, scuba diving, and photography. 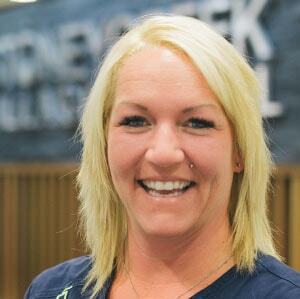 I’ve been with the Stoneycreek Village Team for a little over two years now. Originally from Vancouver Island, this was one of the most rewarding and fulfilling career moves. I’m privileged to work alongside a wonderful and talented team, while getting to meet new people on a daily basis. We treat our patients like family and that is what matters most. Our patients know they are well cared for, and can come to us with any dental concern as we have a vast amount of specialized services. Beyond my job, I love spending quality time with my family and friends. 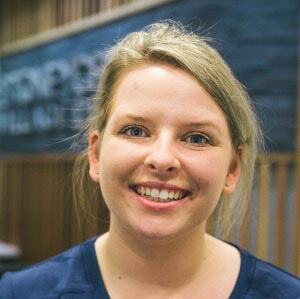 I love my role as a Receptionist at Stoneycreek Village because I’m passionate about promoting dental health and assisting the public. I am especially proud of my role because I have the privilege to set the mood for each person’s visit. We always do our best to make sure every patient feels welcomed and leaves their appointment feeling satisfied and happy! I believe our office is extra special because of our friendly atmosphere and professional patient care. When I’m not at work I enjoy getting outdoors to soak up the sun! Socializing with friends and family while spending time with my dogs is a big part of my life. 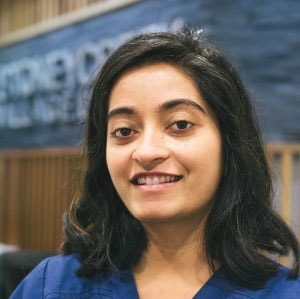 I have worked at Stoneycreek Village Dental for over a year now and have discovered what I love most is the ability to interact with people in my community. Here I have the opportunity to to meet new people each day. Our team’s willingness to go the extra mile is what truly differentiates us from other dental offices in Fort McMurray. We are flexible and understanding of our patients needs and concerns, and we want the best for them. When I’m not working, my passions are reading, writing and world study. My creative outlet is to write stories in my own time. Originally from India, I worked as a dentist for two and a half years. 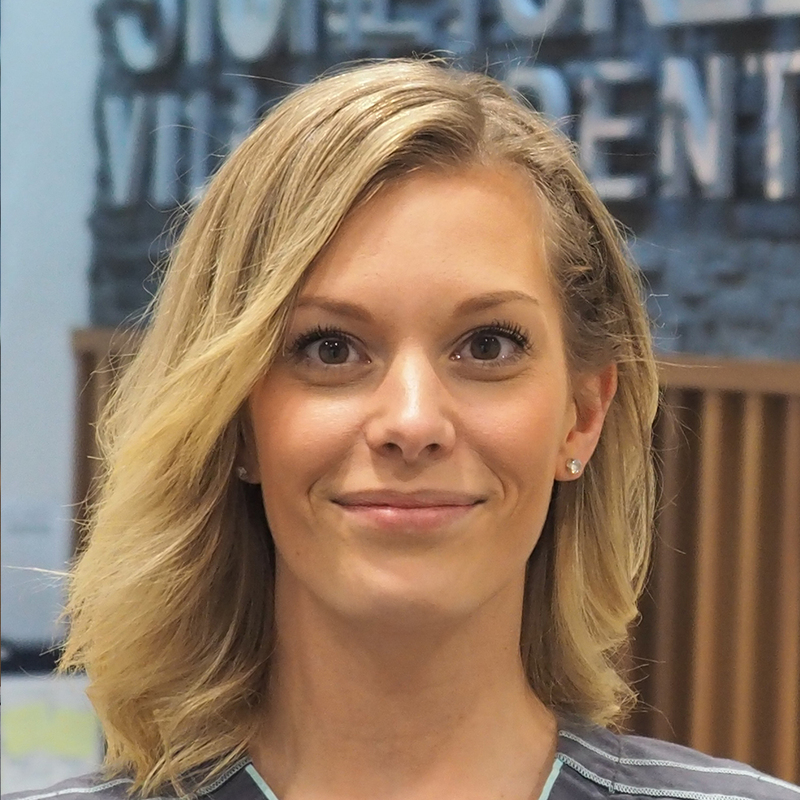 Once I moved to Canada, it was important for me to remain in the dental care field, and enjoy working as a receptionist at Stoneycreek Village Dental. The greatest joy working in this field comes from alleviating dental pain, as it is one of the most severe experiences. Our office works as a TEAM – customer satisfaction is our top priority in all regards. Seeing patients exit our office with a smile is our goal! Outside the office, I like to learn new languages, go on new adventures, meet new people and travel around the world. Doctors and staff wish Kazumi good luck in her pursuit to become a dentist. She is now concentrating on her studies fulltime. 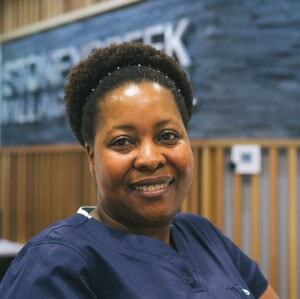 With over 20 years working in the dental industry, I feel right at home with the staff at Stoneycreek Village Dental. 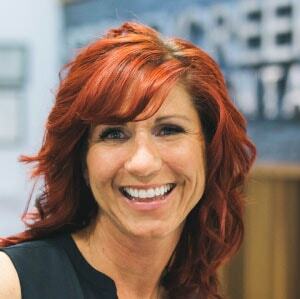 We are a family of individuals passionate about dentistry and helping others. We love what we do and have fun while we’re at it! Our office is sensitive to children and those who have dental anxieties. We do our best to comfort them throughout each step of any treatment process and make sure they leave smiling. Humor and empathy are two of our core traits. When I’m not at work, I’m either weight training or boxing, hiking the beautiful Fort McMurray trails, gardening, playing with my pets or spending quality time with family. With four years experience as a Dental Assistant, I absolutely love my job and the team I’m fortunate to work with at Stoneycreek Village Dental. The greatest strength of our office is the diversity of our personalities and how well we all work together. We are a family and genuinely love to serve our patients. My passions outside our office are spending time with my friends, family, pets and traveling the world with family. Over the last four years, I’ve dedicated my energy to perfect my craft as a Dental Assistant. Prior to my profession, visiting the dentist was always a fear of mine. However, overtime I learned to appreciate and love the practice of helping others improve their oral health and hygiene. I believe my greatest skill is the ability to comfort others through mindful listening. Our patients feel more at ease when they’re able to openly share about their concerns, perceptions and experiences. It is important for our team to connect and relate with our patients. I’m most happy when our patients leave the office with a giant smile! When I’m not at work, I love to experiment with recipes and travel the world to try new foods! As well, I love spending quality time with family and friends. 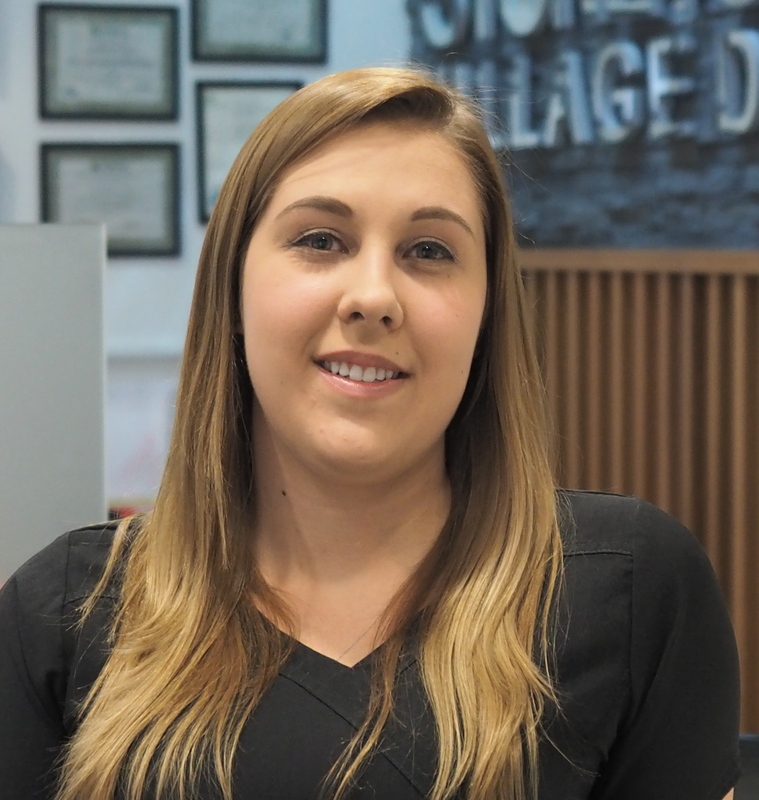 After recently graduating from the Canadian Academy of Dental Health and Community Sciences, I’m a proud new member of the Stoneycreek Village team. I love to help people improve their oral health care. The best part is seeing people’s reactions to their smile. Our team is truly a family and extremely knowledgeable! We have a great energy and I’m inspired to come to work everyday. When I’m not in the office, I’m with my friends, family, my dog Scamp or travelling. Over 10 years ago, my friends inspired me to become a dental hygienist and little did I know that I would find my true passion and niche! It is amazing how you’ll meet different people from different walks of life and how your view of others grow. I find enjoyment in helping our patients maintain their beautiful healthy smiles. Our team is great at listening, and giving our patients exactly what they need. My other passions are to help others in whatever capacity and spending time with my family.